You just can’t see it like that because it’s too dim! But I still love mentally picturing it. 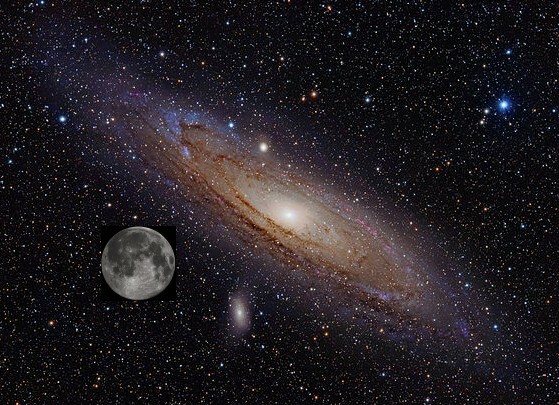 This entry was posted in Science and tagged amazing, astronomy, science on December 3, 2012 by admin. Seriously, you should be able to debunk this yourself, without looking anything up, right away, if you think about it. If you know how and are willing to think critically. What’s special about the picture? 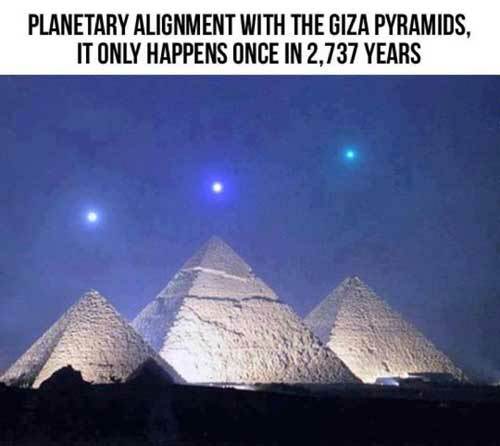 The planets are over the pyramids, but couldn’t you just figure out where to stand to do that almost any time? The apparent heights don’t match at all. The planets are in a nice line, but aren’t there a bunch of planets moving around the sky all the time? That’s probably not so rare. Internet hoaxes are common, so this is probably just that. At this point, you could also check Snopes, but you know you probably needn’t bother. You haven’t proven anything yet, but you can tell the likelihood that the statement is true is pretty low. If you won’t think critically, you will believe and repeat myth. If you combine critical thinking with just a little bit of knowledge about reputable sites (yes, Wikipedia counts 99% of the time), you’ll be safe from believing myth. You’ll be able to be impressed by things which really are amazing. Now, that would be a truly impressive claim. The details like the exact time, the more precise planetary positioning, and the fixed position and angle of the observer…that would be amazing! And there’s nothing inherently wrong about the statement on the face of it. But you should be able to dispense with it in about 30 seconds with a quick fact check. Hint: go here and just look…no need to read. The best thing about thinking critically is that it gets faster and easier. Like any muscle, you can develop it, and the result is having a built-in BS detector. You use it like a filter, and your experience in life is more pleasurable, because there’s less noise in your FaceBook newsfeed, your Twitter feed, your email, or the ads you see. This entry was posted in Science and tagged critical thinking, lies, myth, skepticism, urban legends on December 3, 2012 by admin.